ECB announcement along with the UK general election are the chief influential events for EURUSD. 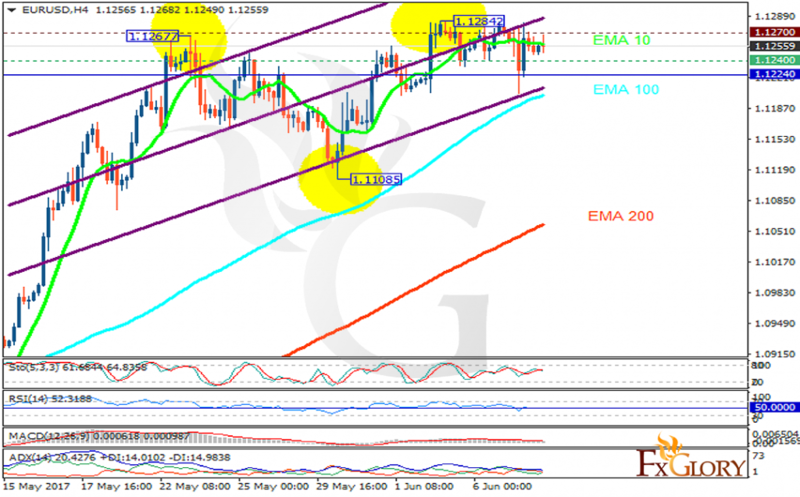 The support rests at 1.12400 with resistance at 1.12700 which both lines are above the weekly pivot point at 1.12240. The EMA of 10 is moving horizontally along the ascendant channel and it is above the EMA of 100 and the EMA of 200. The RSI is moving horizontally on the 50 level, the Stochastic is showing upward momentum and the MACD indicator is in neutral territory. The ADX is not showing any clear signals. Due to the high volatility of the market it is really difficult to decide what direction the trend may go however, in terms of price growth, buyers can target 1.15 area.